The Cedar City Youth Council is for high school kids in the Cedar City area. Their motto is: Youth voices united, serving for community good. Mission statement: Providing the youth of Cedar City with the opportunity to serve, empower, educate and unite the community by acknowledging and creating activities that strengthen, inform and change city decision making-for the better of the youth. 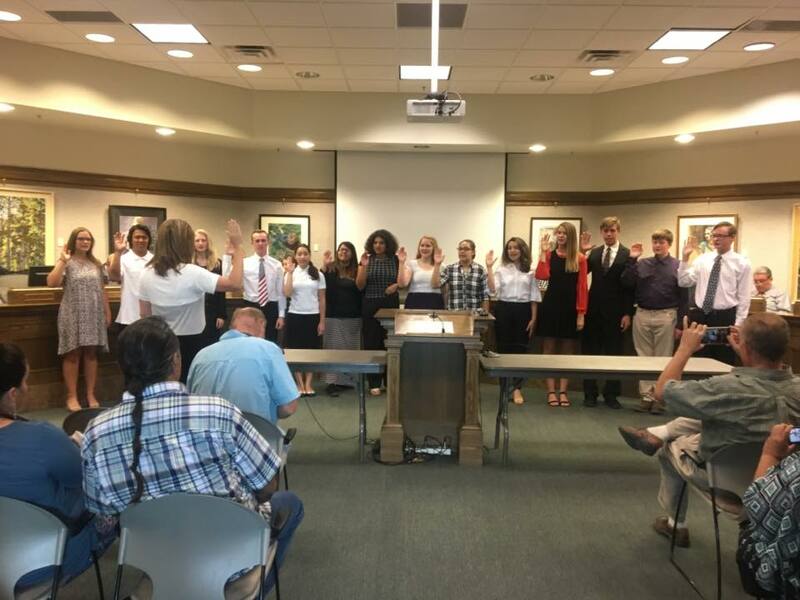 The Executive Council for the 2017-2018 Youth Cedar City Council is: Caleb Alexander, mayor; Jasmine Tapia, manager; Makaty Thorley, administrator; Thalese Barnes, recorder; and Elissa Aguayo, treasurer. 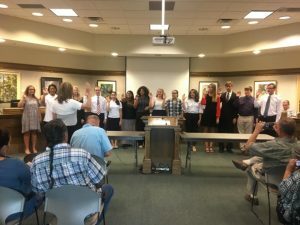 Other members of the Council include Darci Haycock, Chris Tarrayo, Justine Padilla, Austin Demille, Kya Carroll, Cecilia Martinez, Gracia Allen, Quien Haogland, Elliot Haogland, Annie Stein, and Angelica Valencia.